Cerebral visual impairment (also known as cortical visual impairment, or CVI) has become the most common cause of visual impairment in children in the United States and the developed world. 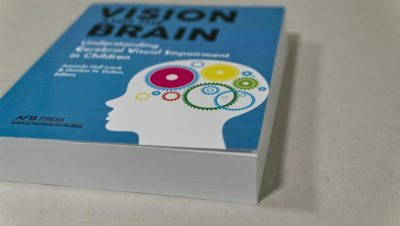 Vision and the Brain is a unique and comprehensive sourcebook geared especially to professionals in the field of visual impairment, educators, and families who need to know more about the causes and types of CVI and the best practices for working with affected children. 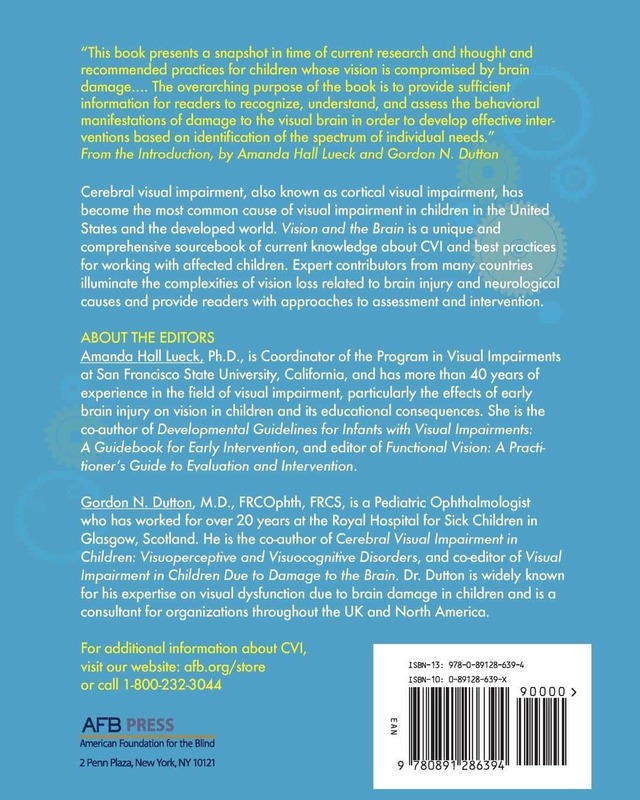 Expert contributors from many countries represent education, occupational therapy, orientation and mobility, ophthalmology, optometry, neuropsychology, psychology, and vision science, and include parents of children with CVI. 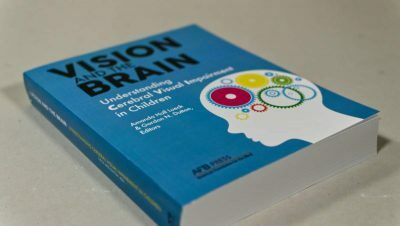 The book provides an in-depth guide to current knowledge about brain-related vision loss in an accessible form to enable readers to recognize, understand, and assess the behavioral manifestations of damage to the visual brain and develop effective interventions based on identification of the spectrum of individual needs. 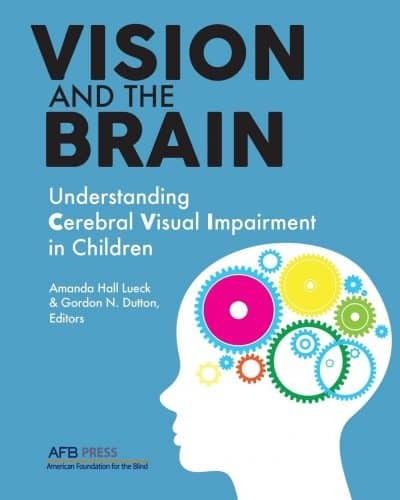 Chapters are designed to help those working with children with CVI ascertain the nature and degree of visual impairment in each child, so that they can “see” and appreciate the world through the child’s eyes and ensure that every child is served appropriately.